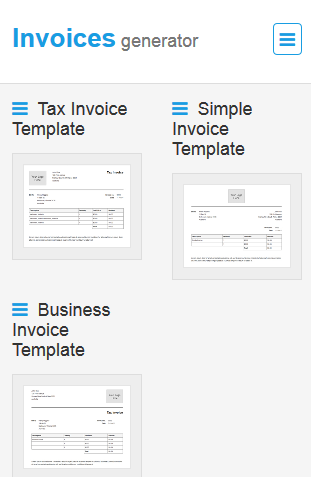 You can generate any amount of invoices you need using these templates and download the invoice in PDF or email the PDF directly to your customer. Beside these features, the Invoice Generator is fully compatible with all phone devices e.g “iPhone , Android devises, windows phone devices and other mobile phones with an internet connection”. 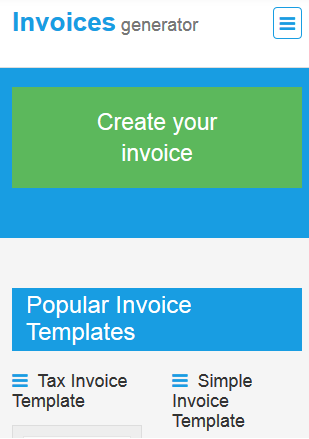 Click the “Create your invoice” button. 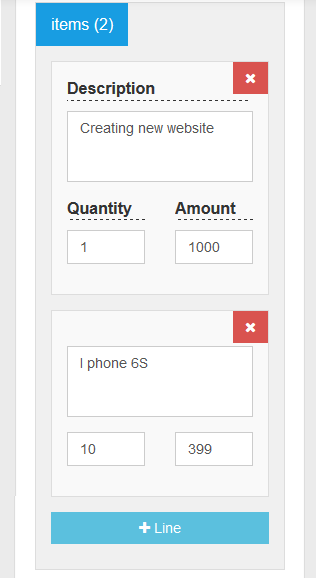 Select the template to generate the invoice. Note: You can customize the invoice labels with other labels suitable for your business e.g. ABN…etc. Adding Taxes, discounts and Notes. Tax and Discount Can be Fixed amount or percentage. Add any notes to the invoice. 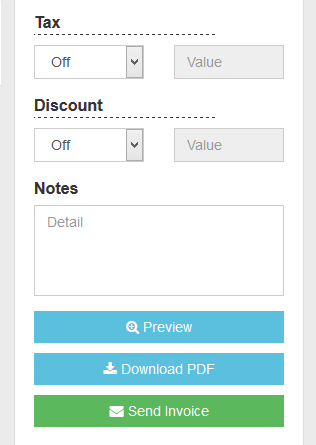 Click preview to view the invoice before saving it as a PDF or sending it to the client. Downloading as PDF will give you the ability to print it or email it to your client directly. Sending the invoice to your client as a PDF and an online version to view and download. This Process Should Take less than 2 Minutes Making our online invoices Generator the Best invoicing app on mobile and it doesn’t need any installation just visit http://create.onlineinvoices.com from your favorite mobile browser and you are goo to go. To save all your created invoices and track them register for out free invoicing system form here http://www.onlineinvoices.com.